In the world of competitive online gaming, a gaming mouse can mean the difference between life and death. 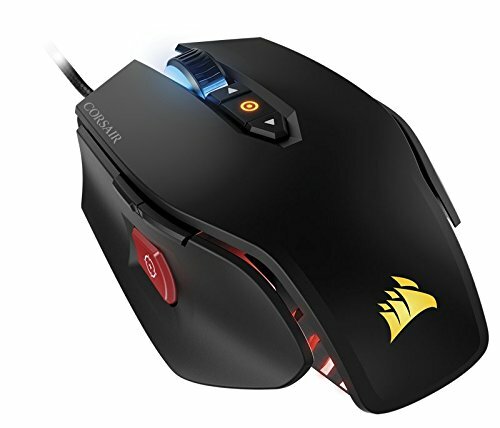 A quality gaming mouse is an essential element of a gaming system and is a must for FPS (First Person Shooter), MOBA and RTS games in which high precision is required to accurately mark the targets. A gaming mouse is somewhat like a pair of running shoes: you need to find the one that perfectly fits your own play style, which varies from person to person. You’ll find gaming mice in all sort of shapes and sizes and it often becomes difficult to choose one. Most companies try to convince us into buying their gaming mice by highlighting features such as insanely high DPIs, but there is a lot more to the equation. There is also no point in spending money blindly on expensive mice as you would probably do just fine with a significantly cheaper gaming mouse. Our objective is to make the selection process easier for you and we’ll be focusing on mice that deliver the best value for the money. DPI (Dot per Inch) or CPI (Count per Inch) – DPI is often used wrongly to represent accuracy and higher performance. High DPIs are suitable for gamers who prefer high sensitivity and want the cursor to move quickly. But not all gamers like the cursor to travel the whole screen when they actually wanted it to move just a little. As a general rule of thumb, higher DPI mice are more suitable for high resolution displays. For a typical Full HD display, 800-1600 DPI is considered the sweet spot. Most gaming mice support DPI well above the sweet spot and you can change the settings anyway so there is nothing to worry about here. Polling rate – Polling rate determines how fast your computer is updated with the pointer position and is an important performance indicator. 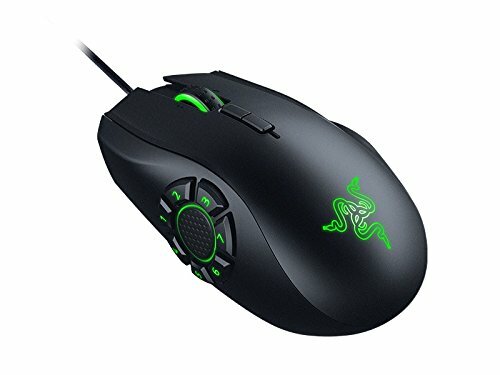 Faster polling rates mean more accurate cursor position and most gaming mice support 1000 Hz, which means the mouse updates your computer about the cursor position every millisecond. Palm grip vs. claw grip – Palm grip mice are more suitable for gamers who prefer low sensitivity and high accuracy. On the other hand, claw grip requires gamers to hold the mouse using their fingertips, which translates into high sensitivity, but a wrist-heavy style. That’s why it’s important to consider which games you would be playing the most as each requires different tactics and control. Sensors – Gaming mice feature either an infrared sensor or a laser sensor. If you are on a tight budget and still want a quality gaming mouse, infrared sensor based mice can save you a lot of money. The main difference between the two types of sensors remains the resolution (DPI), which should not be a problem if you don’t require insanely high levels of sensitivity. Despite being cheaper, infrared mice perform more consistently compared to laser mice, which are more sensitive to dust and require higher surface uniformity. You might also have to invest in a quality mouse pad if you decide to buy a laser mouse, while infrared mice work fine on most surfaces. Types of gaming mice – If you play specific games/genres, it’s better to buy a specialized gaming mouse as a single mouse probably won’t work well for all type of games. You have many options to choose from, including all-purpose, FPS (First-person shooter), MMO (Massively multiplayer online), RTS (Real-time strategy) as well as customizable mice. Software customization – If you choose to buy a gaming mouse from a not-so-well known manufacturer, you may have to sacrifice software customizations. Almost all established brands accompany their hardware with software suites that allow you to adjust various settings and assign functions to buttons. That’s why it’s highly recommended to buy one made by a reputable brand. After knowing what you exactly need, the selection process becomes much easier. But you’d still be left with a lot of mice to choose from so we came up with a list of 10 best gaming mice that offer great value for the money. Featuring DPI up to 16,000 and 450 IPS (Inch per Second) true tracking, Razer DeathAdder Elite is an affordable gaming mouse suitable for RTS games and offers 99.4% resolution accuracy. Nothing could go wrong with this super responsive mouse that uses a new sensor and allows gamers to quickly change the DPI using dedicated buttons located right below the scrolling wheel. The ergonomic design works well for the right-handed gamers, but it’s a design we are already quite familiar with, so there is nothing new in this department. The left-mounted buttons are big and easily accessible, while customizable RGB lighting helps the mouse stand out from the competition. 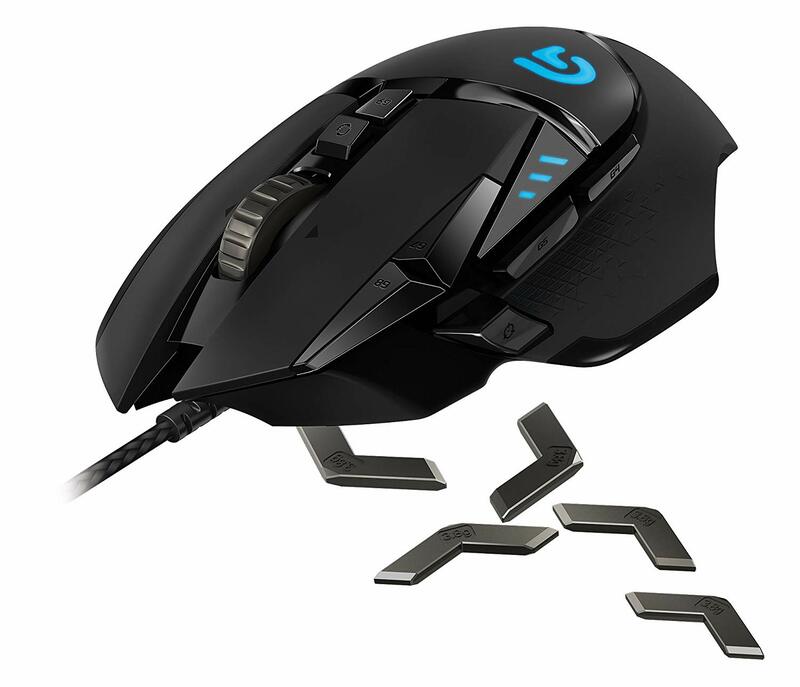 Available in both wired and wireless versions, Logitech G900 Chaos Spectrum is an ambidextrous mouse and features a unique, rather strange design. This high-end mouse is a good choice if you are a left-handed player as most other gaming mice mainly offer right-handed use. Logitech promises 1ms response rate and used its most accurate optical sensor in the mouse that delivers pixel-precise performance. Weighing only 107 grams, it’s also lightweight, maximizes comfort and delivers a quicker response. The unique design works well with most grip styles, including palm, claw and fingertip grip. In a nutshell, G900 Chaos Spectrum is a well-rounded package and works equally well for both left and right handed gamers. The wireless version also supports all the features and provides similar performance, its battery doesn’t last long and you’ll need to frequently charge it. That’s why wired gaming mice are always a better option as they offer better reliability and stability. Like Logitech G900 Chaos Spectrum, The Steel Series Sensei Raw also features an ambidextrous design but costs a lot less and is one of the most affordable gaming mice around. If you are a minimalist and still want the bells and whistles of an expensive gaming mouse, this one could be the right choice for you. It also very light weight and features 1ms response time. However, the DPI/CPI is not as high as that of other gaming mice, which might be an issue for gamers who want extreme sensitivity. G502 features one of the most accurate sensors and is able to track up to 12,000 CPI without any degradation in performance. It weighs around 120 grams with its weights removed and is the weapon of choice for serial gamers. The free-scroll wheel does not help much in gaming, but it’s very useful when scrolling through very long documents. 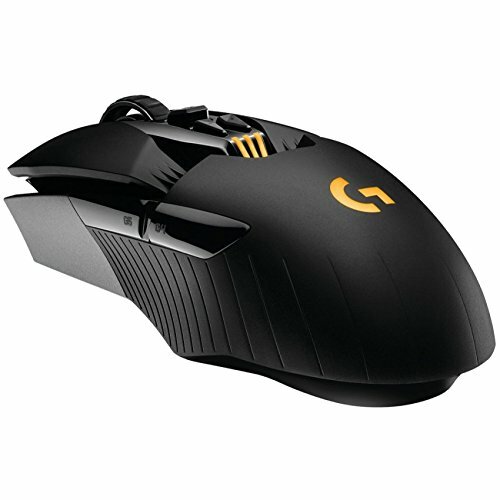 G502 is an excellent option for gamers who want a heavier mouse and deeply care about the quality of the sensor. This gaming mouse offers a lot of customization options, while the optical sensor can be used on a variety of surfaces. Rival 300 is another great gaming mouse for gamers who want to keep things simple and avoid the complexity. However, it’s not suitable for MOBA and RTS games which require a lot of extra buttons. Rival R300 supports DPI up to 6,500, which is more than enough for most gamers and features a response time of 1ms. The R300 has been designed for right-handed gamers, provides a solid grip and can be used for extended periods of time without any fatigue. 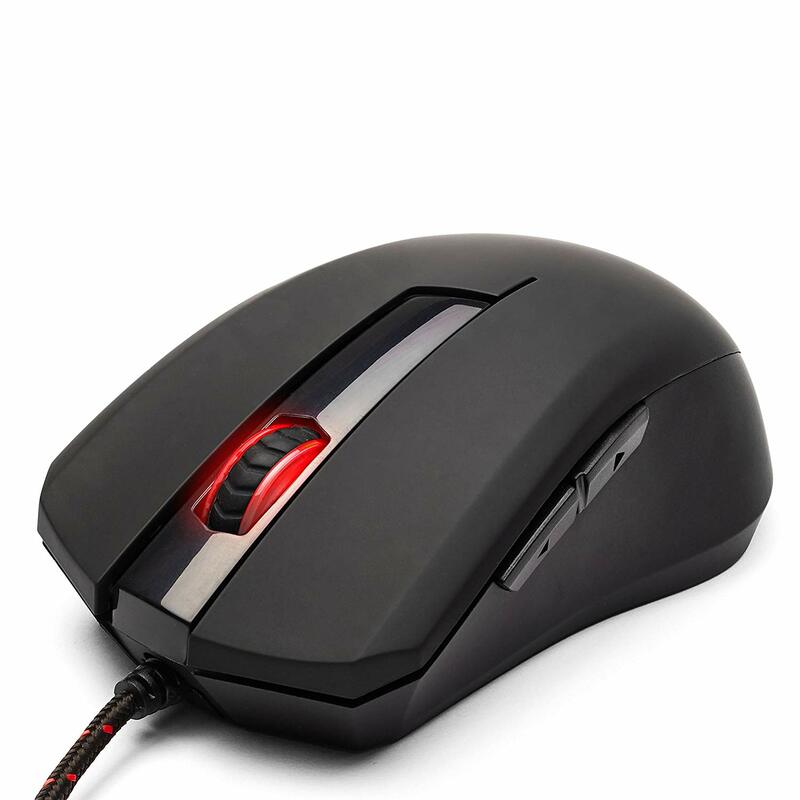 Weighing a hefty 130 grams, the mouse is on the heavier side and the weight is not adjustable. 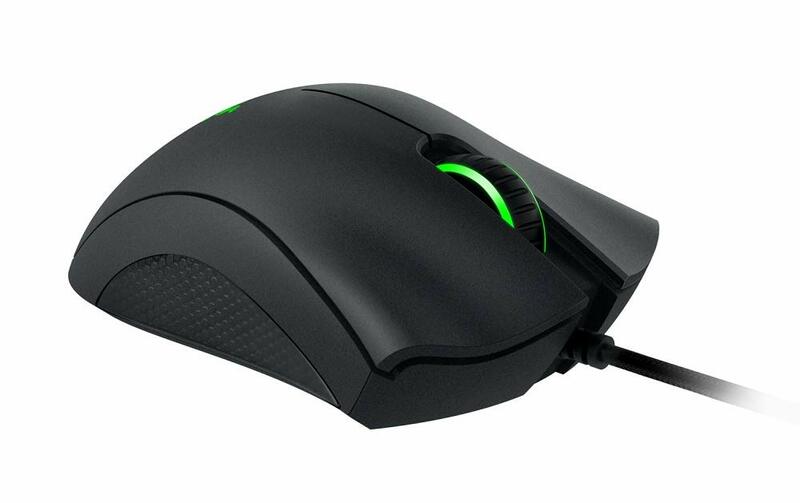 Naga Hex V2 is a specialized mouse for MOBA/ARTS games or games that require a lot of keyboard shortcuts. 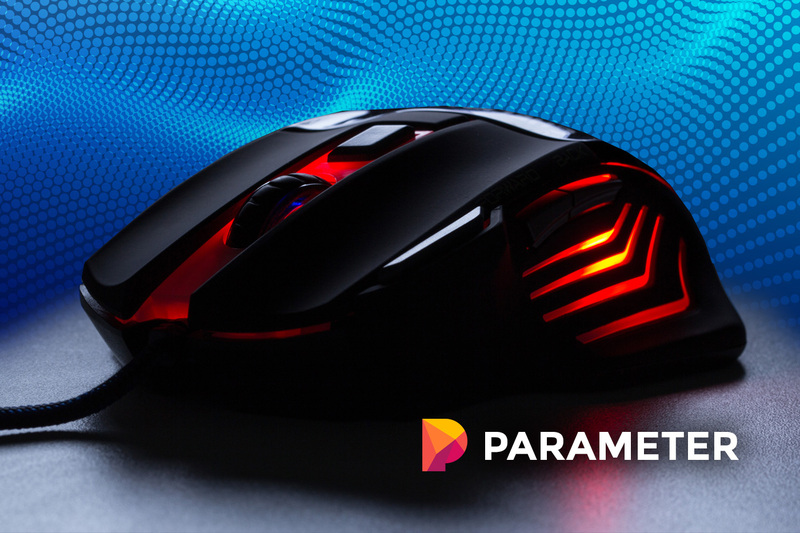 The circular thumb grid contains mechanical switches for a better gaming experience, while the optical sensor delivers incredible 16,000 DPI. All the physical buttons can easily be mapped and programmed using the bundled software. The RGB illumination adds a unique personality to the mouse and can be controlled using Razer Synapse. If you are not a fan of the the circular thumb grid, you may also like to consider Razer Naga Epic Chroma, which is also designed for MOBA games and offers a different layout of buttons. Corsair M65 Pro is designed for FPS gamers who need precision, responsiveness and comfort. This large mouse features 8 programmable buttons, including the Sniper Mode button that reduces DPI for a more comfortable and accurate aim. The adjustable weights allow gamers to adjust the mouse according to their individual preferences, while a dedicated switch supports on-the-fly DPI adjustment. 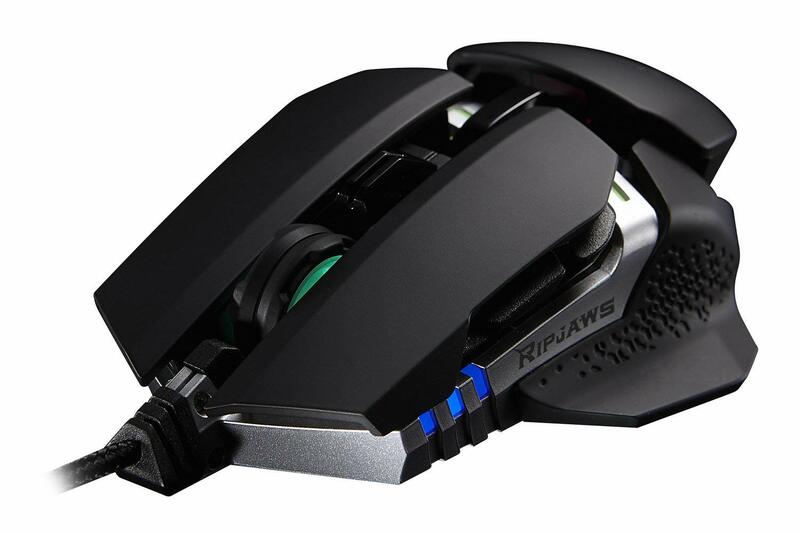 This gaming mouse can prove to be a powerful ally of FPS fans and is available at an affordable price. The mouse also allows gamers to set horizontal and vertical DPI independently, which works like a charm in FPS games and isn’t something you’d find in most gaming mice. MX780 is a modular mouse that can be adjusted for both left and right handed use. It also supports palm rest height adjustment, which allows you to lower or raise the palm rest so you can use it in both palm grip or claw grip modes. The option to adjust weight allows you to adjust the mass, while the intuitive illumination system shows you the current DPI settings, which can actually be quite convenient. The ambidextrous laser gaming mouse also features eight fully programmable buttons, while built-in profile storage allows you to store five full sets of key and lighting configurations. This means you don’t have to fine tune every detail when you plug in the mouse to another computer, which can be quite convenient for gamers who frequently change systems. Turtle Beach Grip 300 may not be the latest and greatest gaming mouse around, but it definitely is one of the most affordable mice and works fairly well for FPS and RTS games. This budget mouse tries to prove that you don’t need all those fancy features, lighting and software gimmicks for a great gaming experience. Beach Grip 300 is suitable for gamers who value simplicity and don’t want to spend a lot of extra money on features they don’t actually need. It’s also fairly small, easy to carry around and can be a good travel companion. The small size also means that it’s more suitable for gamers who prefer a claw grip. It does not require the user to install any driver or software, which can be a good or bad thing depending on who you ask. However, that does not mean that the mouse is not customizable at all. There are two switches underside the mouse that allow changing the polling rate and DPI. But you won’t be able to change the DPI setting on-the-fly, which can quickly start to become a real problem. 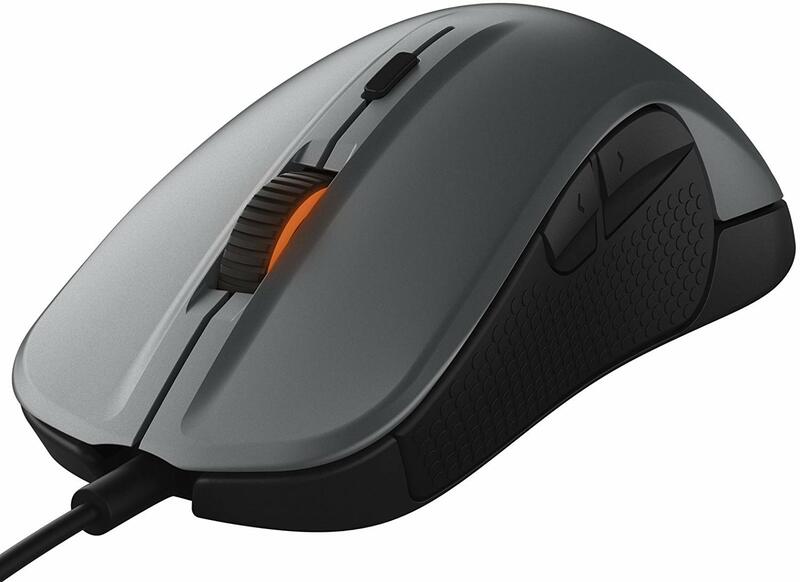 Rival 500 is a MMO/MOBA mouse that has been designed keeping the expectations of serial gamers in mind and works well for gamers who frequently participate in gaming tournaments. 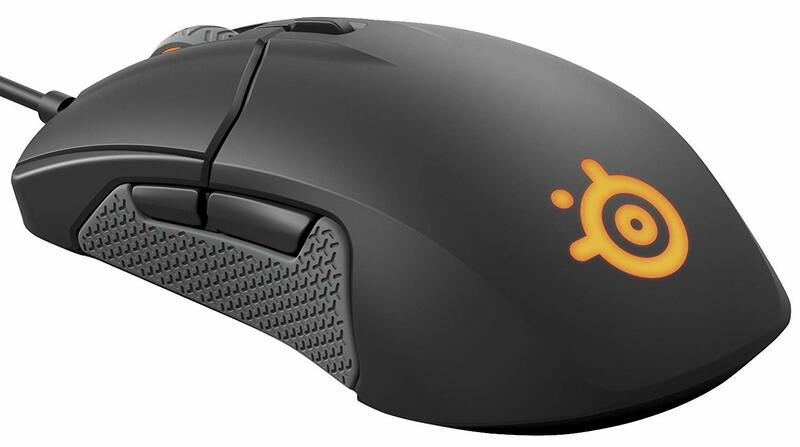 The large and comfortable mouse comes with all the customizable buttons MMO/MOBA gamers want, while two of them can be used as a thumb rest if you don’t use them very often. 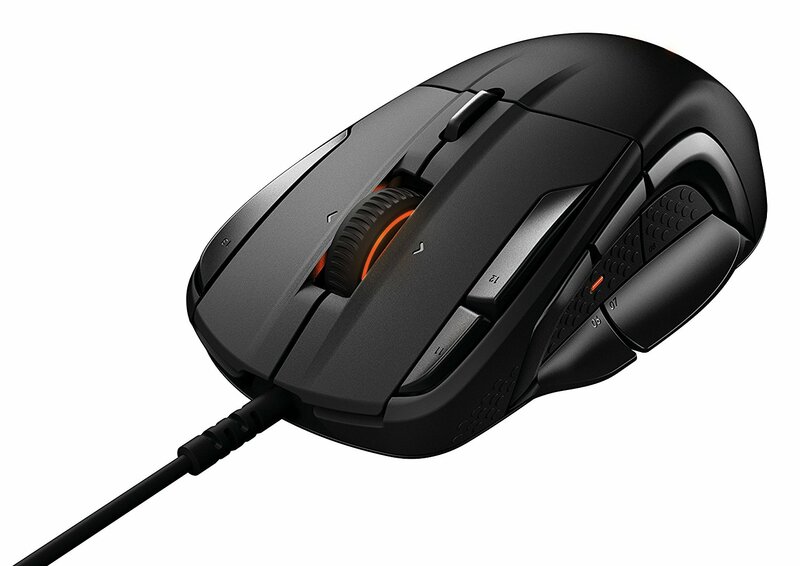 The 16,000 DPI optical sensor is on par with other high-end mice and performs admirably in most situations. It also does not cost a fortune and is available at a fairly affordable price.